I'm a very satisfied reader. May was a fabulous month of books for this gal. Let's have a great one! Nimona. Love. The Shore. Gonna love. Yes. Yes you will! I nearly guarantee it. Nimona was fab, I want MORE. The Shore is on my to-read list! You did good though for books! Happy June reading! I think you'll really enjoy it :D Thanks so much and same to you! I'm so glad you had a great reading month, Jen! 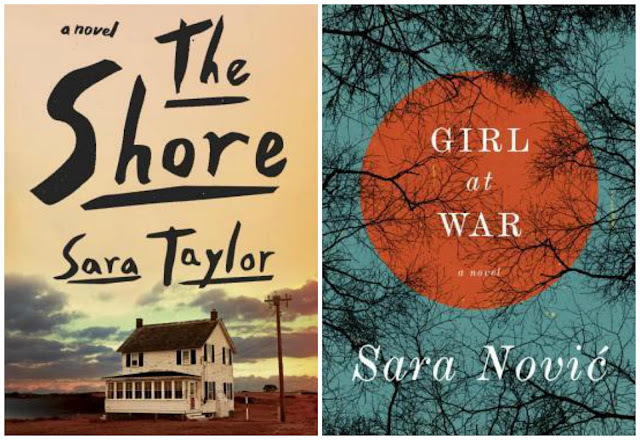 You and the other Socratic Salon gals have really gotten me interested in both The Shore and Girl at War - GAH! Y'all are killing me! There are so many books! First of all...love your flashing graphics! I'm impressed! Glad you had a great reading month! The Shore was a good one for me as well in May....and I read Boo in May, but it didn't really do it for me. Looking forward to reading Girl at War before the year is out. I loved parts of Boo but there were parts that didn't work for me as well. I have mixed feelings! I think we *might* chat about it on The Socratic Salon. That always helps me work through my thoughts. I've had my eye on The Life Changing Magic of Tidying Up and The Men We Reaped. It's an excellent read, Natalie :D I promise! I loved Girl at War too. You do!! It was a hoot! Love when I can look back and find that the entire month has been a good one.